Now that you just ate seconds, thirds and maybe even more. Your skin might show some stress from the wine, the desserts, caffeine and lack of sleep. Sugar can stress your skin out making it break out, making it look dull and losing its glow. 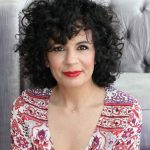 If you need to get that holiday glow back here are some products that I love that can help you bring your skin back to life. First start off with washing off the makeup up slept in with MZ SKin Cleanse & Clarify it is a dual action AHA cleanser and you can use it as a mask if you need that extra TLC. You can use this all over your face, neck and decolletage. It contains fruit enzymes that will help boost radiance for a brighter complexion. 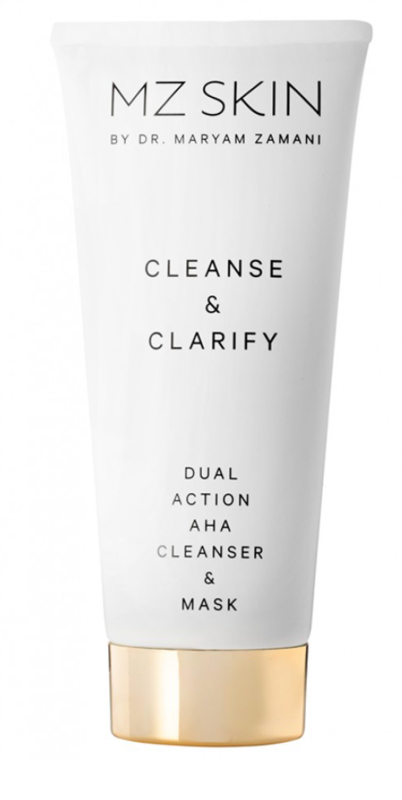 Cleanse & Clarify will help boost renewal, it helps oxygenate your skin and clarify your skin tone. To use it as a mask just leave it on for 10 minutes. Find it here, MZ Skin. 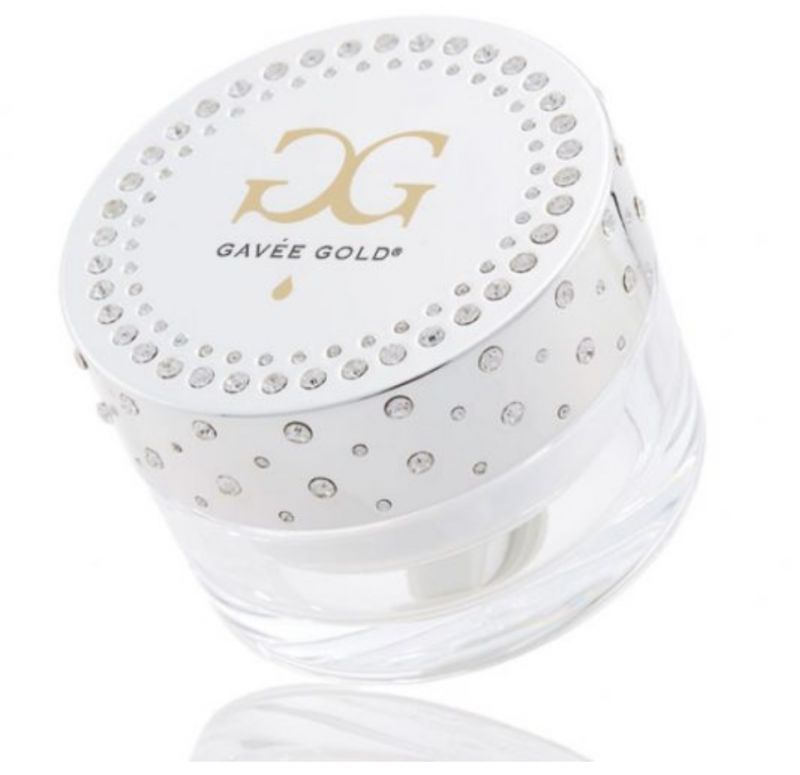 If you feel like you need an extra scrub try Gavee Gold’s Diamond Cell Salt Polish the great thing about this scrub is that you can use it on your face and body. It is infused with minerals to help oxygenate your skin. It also contains diamond powder so great when you want some extra pampering. It will gently remove dead skin leaving your skin feeling super soft and touchable. You will love this. Get it here, Gavee Gold. Apply a serum, serums have active ingredients that will boost radiance. 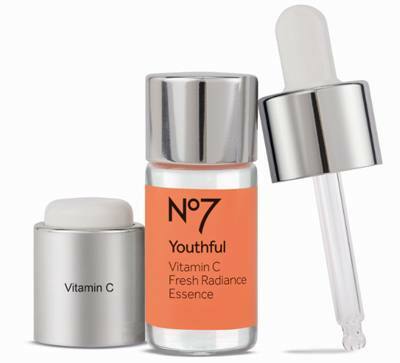 I am loving No7’s Youthful Vitamin C Fresh Radiance Essence. The best thing about this is that you will see results from this in less than 2 weeks. It’s like a pick me up for your skin. It helps brighten your overall skin tone, your skin will feel smoother and have a natural glow to it. You can find this at Target. After you apply this serum follow it with your favorite moisturizer. The next step is your eyes, eyes tell everything. If you lack sleep everyone will know. 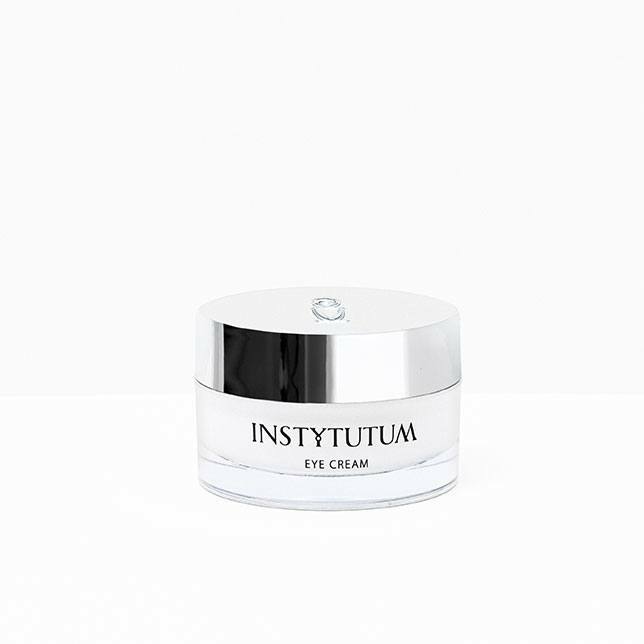 So it is important to use a good eye cream, I have been using Instytutum Eye Cream, it is a skin care line that comes from Switzerland. It’s amazing. It will help conceal dark circles and puffiness. It is a must after a long night. It also helps fight fine lines and wrinkles. 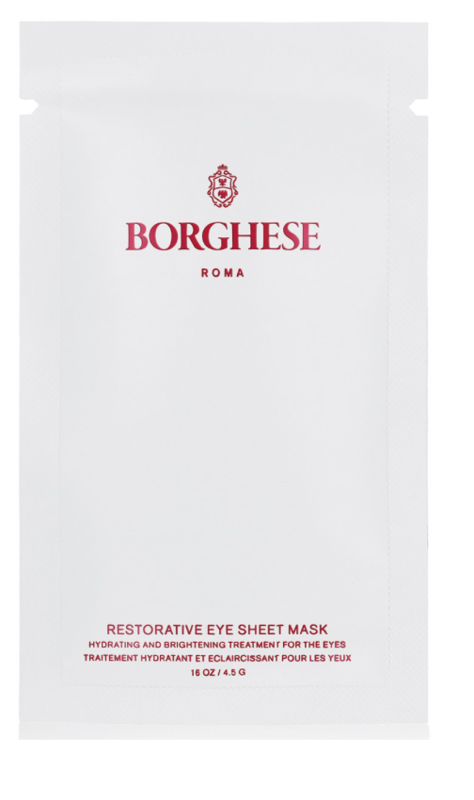 If your eyes need a little extra help, try Borghese Restorative Eye Sheet Masks. These eyes masks have a gel like texture when you put them on. You can walk around the house with them and they won’t slide down. 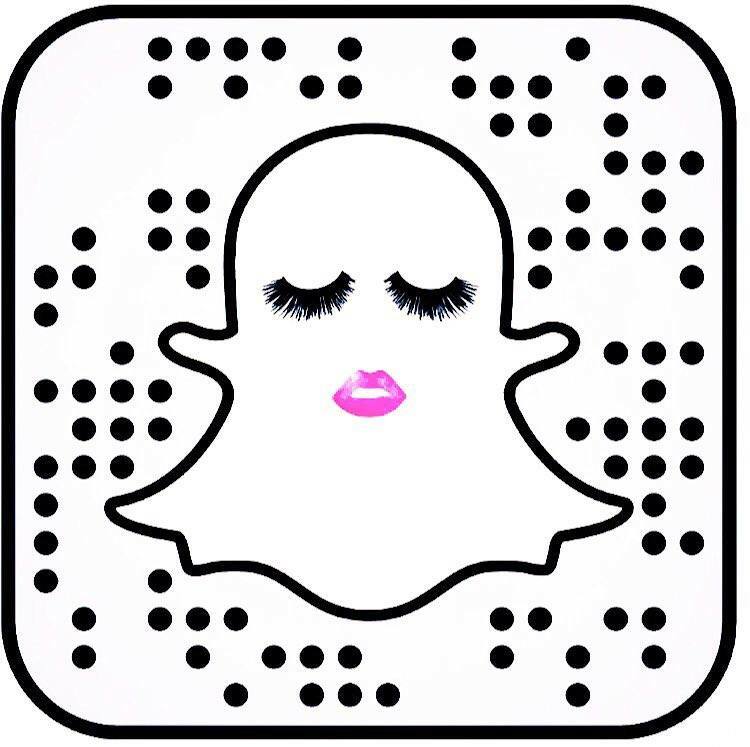 They will give you that well rested look that you need. They are infused with Acai fruit extract, Arnica, Caffeine and Pomegranate. You can leave them on for 5 minutes to 15 minutes or a little longer. I always have to do a mask after a long night, I am obsessed with sheet masks. 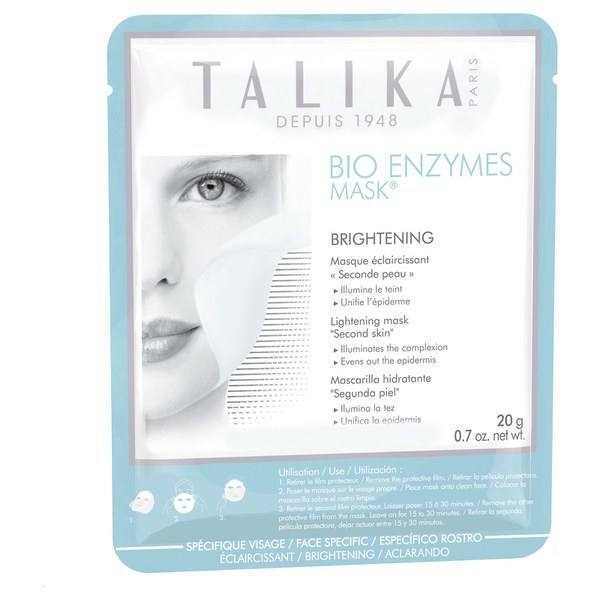 I love Talika’s Bio Enzymes Mask. I use the Brightening Mask. It will bring back your dull skin back to life in just 15 minutes. This mask contains something called Biocellulose, an ultra-pure nanofiber derived from the enzyme fermentation of coconut water, which helps brighten and hydrate skin. It’s a must have! Before you go to bed you need to apply this to your skin to wake up with beautiful skin that is more vibrant. 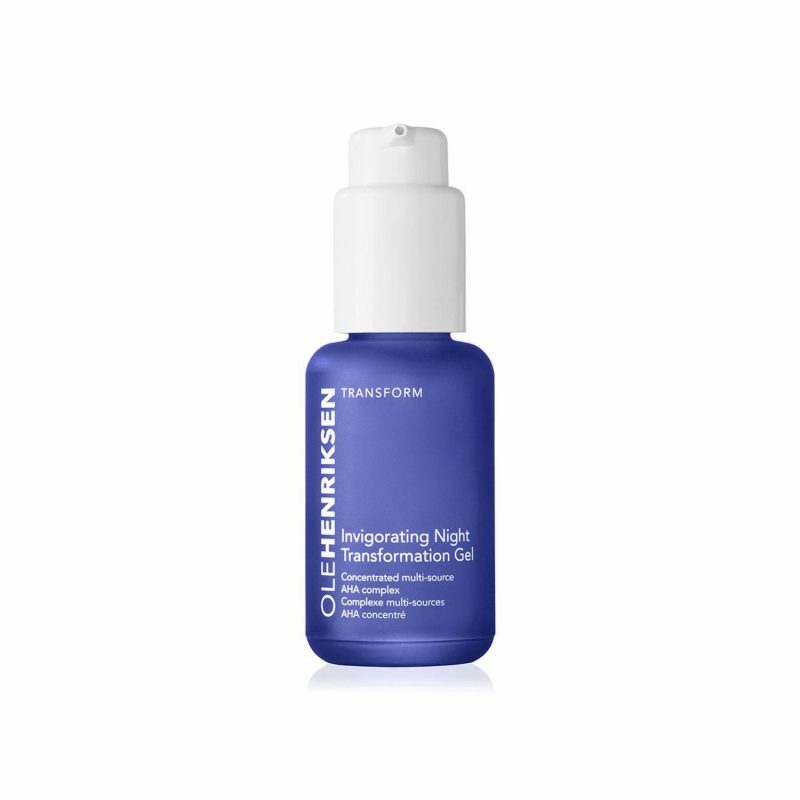 Ole Henriksen’s Invigorating Night Transformation Gel. I love this night gel, it helps the texture of your skin, it brightens it and reduces fine lines. 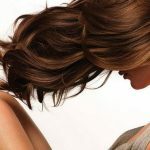 It is an AHA Complex, so it helps the turnover of skin cells. So in the morning don’t forget to use a SPF. This gel has glycolic and latic acids to change your overall complexion to a brighter one. It feels light on and gentle. It can be used on every skin type and it will also help with acne. When you wake up you will look more radiant. Buy it here, Ole Henriksen. I am adding a hand cream because we can’t forget about our hands. I think during the holidays we are all a little extra hard on our hands. This is the first EVE LOM product that I have tried and now I want to try everything from the line. EVE LOM’s hand cream, Time Retreat is amazing. It is the best hand cream that I have ever used. The fragrance is really light, the texture is very hydrating without feeling sticky. This is also an anti-aging hand cream so it will not only leave your hands feeling so soft, it helps with the appearance of fine lines, and evens out discoloration. You need to carry this around with you 24-7. I wish I had a lifetime supply of it! Find it here, EVE LOM.